My nutrition has been not good lately. I have been craving all things carbs. And sadly I have started giving in. I have noticed two things from it. 1) My body doesn't like carbs and reacts negativity to them. I am bloated and just feel sluggish. And my body just doesn't digest them too well. 2) The more I eat of them the MORE I WANT THEM! It is not good. So it is time to cut back and get back to what I know I should be doing, and DO IT! NO EXCUSES! I am already planning and prepping for next weeks meals. I need to get back on track and switch up the same old, same old meals with some different ones. I went digging in my cupboards and pulled out FIXATE! I love this book, and I can't believe it has been up in my shelves for so long. Everything tastes amazing and it is so easy to follow! 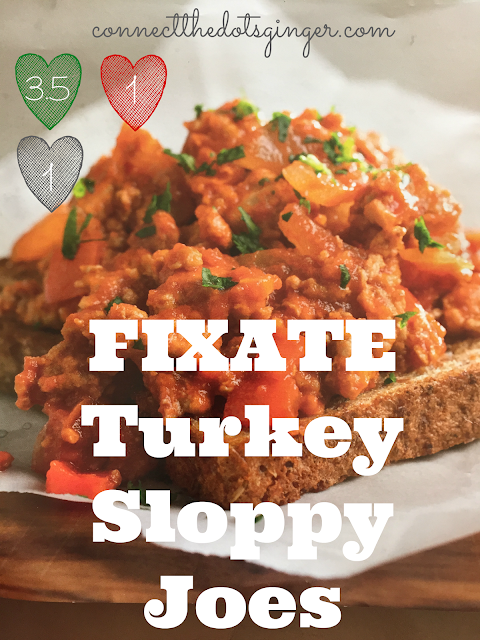 This coming week I am making these Turkey Sloppy Joes. I think of this more sweet and savory because of the maple syrup. It just makes it so good! 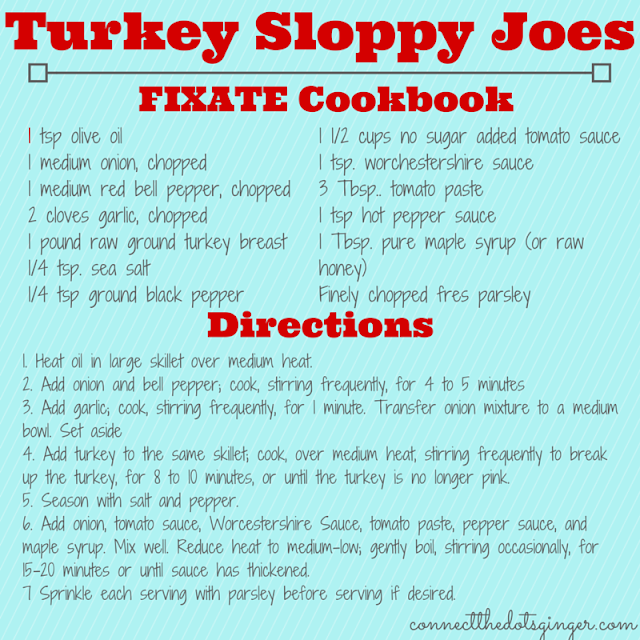 Check out the recipe, give it a try! And hey, if you want 100 other yummy, easy recipes, you can ORDER YOUR VERY OWN COPY TOO! COOL THING: There are so many ways you can eat them! Check out the serving suggestions below! 1) Serve open-faced on one slice of low-sodium whole-grain sprouted bread. 2) Serve over 1 cup Zoodles.